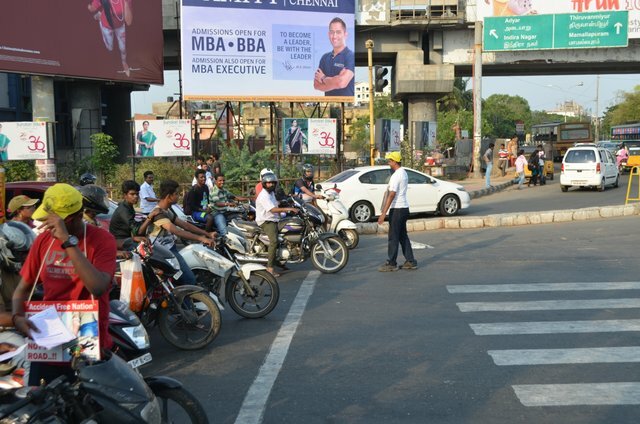 As a continuous effort to reduce the accidents in the country, last month, on 31.05.2015, Thozhan carried out the traffic awareness campaigns at following 7 Signals in Chennai. • Bring awareness to wear helmet and seat belt. • Ensure Safe Road crossing by insisting pedestrians on following rules. • Bring awareness on importance of abiding Traffic signal. • Campaign against drunken driving and bring awareness on risks associated with it. • Guided vehicles to stop before signal stop-line. • Distributed around 4500 pamphlets, with details on road safety and its importance. • Guided pedestrians on road crossing with insistence on following road rules. • Affixed around 2000nos. anti-glare stickers onto the headlights. • Volunteers conveyed the Road Safety messages to the Riders, Drivers and pedestrian’s by one to one contact. • Overall there were about 120 volunteers participated very enthusiastically. • Organizations participated: Naloore Vattam, Bhumi, Ilaingan, Care and Welfare, Aware, MSW Foundation, Loksatta Volunteers, Jagadeesh Academy of Arts. • All the regular and new volunteers taken the pledge for following Traffic Rules before doing campaign. 1) There were amazing responses from public at almost across all signals. 2) People congratulated our efforts and committed to follow traffic rules. 3) Even with arguing people, our volunteers, kindly and firmly conveyed the road safety messages. 4) While crossing the Gemini Signal, Mr.N.Gopalaswami, former Chief Election Commissioner, appreciated our volunteers efforts. 5) At Valluvarkottam signal, one small boy from a car opened the door and congratulated us.Even some People said sorry for not wearing helmets and seatbelts. 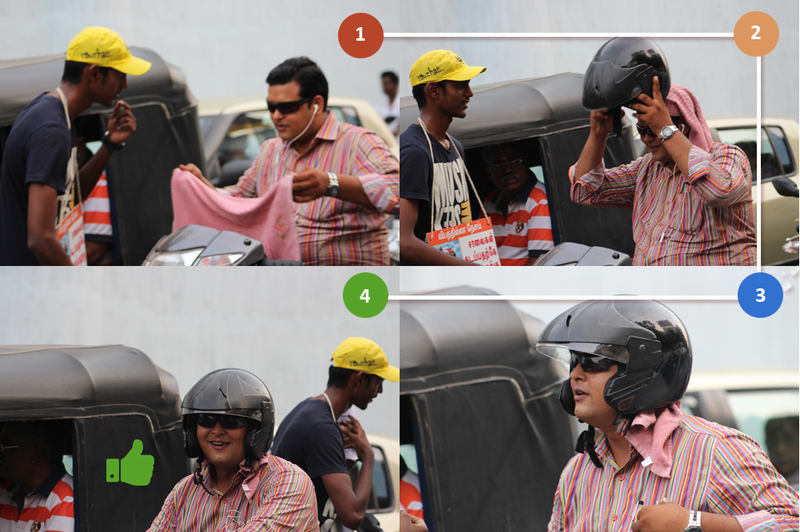 6) There were numerous occasions wherein people worn helmets and tightened seat belts after our insistence. 7) Ambattur signal had 10 kids from “Jagadeesh Academy of arts” as volunteers, who were very enthusiastically conveyed the safety messages to fellow brothers and sisters of the city. People gave great response to those kids by showing thumps ups and salutes.